This is a very well done video for "Lullabye" directed by Marcus Nispel. © 1993 Sony BMG Music Entertainment. 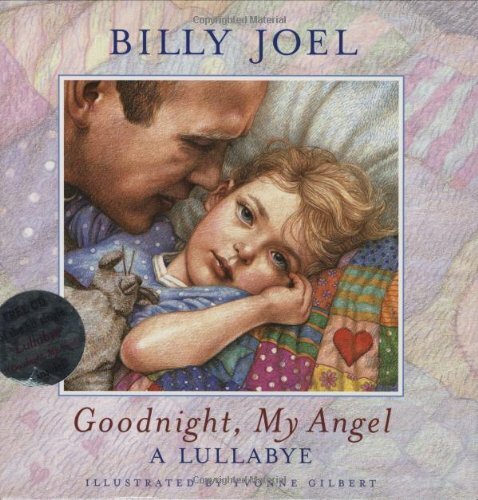 Download "Lullabye (Goodnight, My Angel)"
Billy's ballad "Lullabye (Goodnight, My Angel)" is a dreamy and contemplative song about our connection with our children or other loved ones. Billy's little girl Alexa, who was about seven years old at the time, had asked him what will happen when he dies. He reassures her that "wherever you may go, no matter where you are, I never will be far away." And later that he will live through her, "someday your child may cry, and if you sing this lullaby, then in your heart, there will always be a part of me." Billy has explained that he told Alexa that "when we die, you go into other people's hearts, you never really go away. You go into the rest of the people that you know, go to the rest of their lives . . . ." Lullabye is apparently intentionally misspelled with the extra "e."
​ The song has a lilting, rocking feel, as if father and daughter were out on a boat at sea. The lyrics and this nautical motif help imbue the song with a spirituality that leads seamlessly into the next song "The River of Dreams." The last five songs on the album, beginning with "All About Soul" blend together thematically and musically, somewhat like the songs on Side Two of The Beatles' Abbey Road, though they are not directly linked like those songs. More on "Lullabye" from siriusXM. Billy and Alexa Ray. Photo: Christie Brinkley (from Newsday.com?). ​ When these five songs are heard in consecutive order, as is intended on the album, then the song "The River of Dreams" seems less of an anomaly in the Billy Joel catalog, but rather a part of this collection of songs. "Lullabye" and "The River of Dreams" flow well together, as well as within the overall context of Side Two of the album ("All About Soul," "Lullabye," "River of Dream," "Two Thousand Years" and "Famous Last Words"). "Lullabye" is a timeless song, it will go on and on. Children's book with song lyrics. I used to play this song (CD) for my own daughters before they went to bed. There is a children's book of the lyrics with an accompanying CD of the song (see left). I always liked the line "and dream how wonderful your life will be." It's every parent's hope that their children will lead wonderful lives, better lives. The song always reminds me of my girls (Lolo and Jams). You can view the book in the video below (bottom, left). 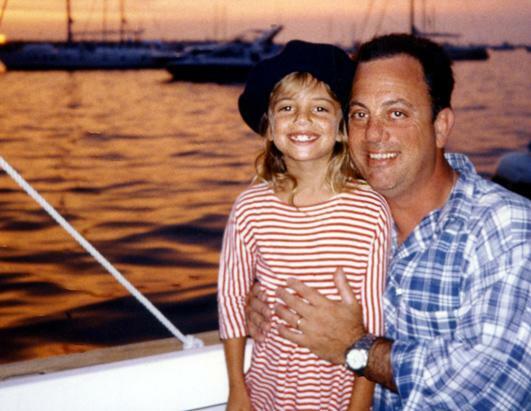 ​ Alexa Ray Joel posted a nice mini-tribute to her father on her Instagram account for Father's Day in June 2015. 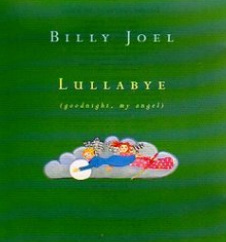 The video for "Lullabye," directed by Marcus Nispel, is one of the better Billy Joel music videos. It is shot in black and white and features a series of images of children playing while wearing angel wings or other nostalgic imagery. The video is simple and elegant, befitting the song. There are many cover versions of the song, mostly by choirs and acapella groups. I am not a Celine Dion fan, but she does a nice cover. Lee Ann Rimes also sang the song at 2013 Gershwin Prize ceremony honoring Billy. I particularly like the instrumental guitar cover by Tommy Emmanuel and John Knowles (see video below). After asked a question about "This Night" and classical music, Billy explains how he wrote "Lullabye" and "River of Dreams" (audio only). From a Master Class in 1994. This is an early version of "Lullabye" from the Shelter Island Sessions. It then leads right into "The River of Dreams." Billy explains why he wrote "Lullabye" at a Master Class in 2001. This is nice acoustic guitar cover by Tommy Emmanuel and John Knowles.